There is so much to love about holidays to Goa, especially when you’re traveling with the family. Naturally, most visitors choose to stay by the beach and soak up the sun on Goa’s glorious exotic beaches, which gives you the chance to kick back and live life in the slow lane. Of course that doesn’t always work when you’ve got the kids in tow, but fear not – once they’ve tired of building sandcastles or splashing in the shallows, there are plenty of other ways to keep them entertained. 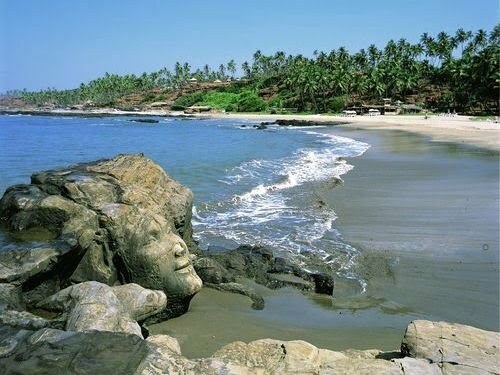 Based on India’s beautiful west coast, Goa is a simply stunning part of the world that’s enriched with culture and alive with a fascinating heritage. You’ll find a distinctive Portuguese flavour in this area of India that stemmed from old colonies based here – you’ll find it in everything from the local architecture to the cuisine, which is a tasty blend of Portuguese fare and spicy Indian creations. And if the kids aren’t too keen on trying new tastes, there are always alternatives available – many of which cater to British tastes! In Old Goa you’ll discover a truly authentic version of this holiday paradise which is worlds away from the holiday resorts near the coast, however this is a trip best reserved for the grown-ups as the kids could get bored. If that’s the case, you can always book into a family hotel and let them while away a few hours in the local kids’ club while you wander off to discover the ‘real’ Goa. A great way to entertain the kids outside of the hotel and the resort is to head off to explore some of Goa’s natural wonders. Visit the Cotigao Wildlife Sanctuary, take a tour along Goa’s winding river to see animals in their natural habitat, or head off to the stunning Dudhsagar Waterfalls in the middle of the jungle, where the kids can splash about in pristine waters and enjoy the spectacle of these magnificent crashing falls. It might not be the most obvious place for a family holiday, but that’s exactly why holidays in Goa are so special. When will you treat the kids to a holiday in paradise?